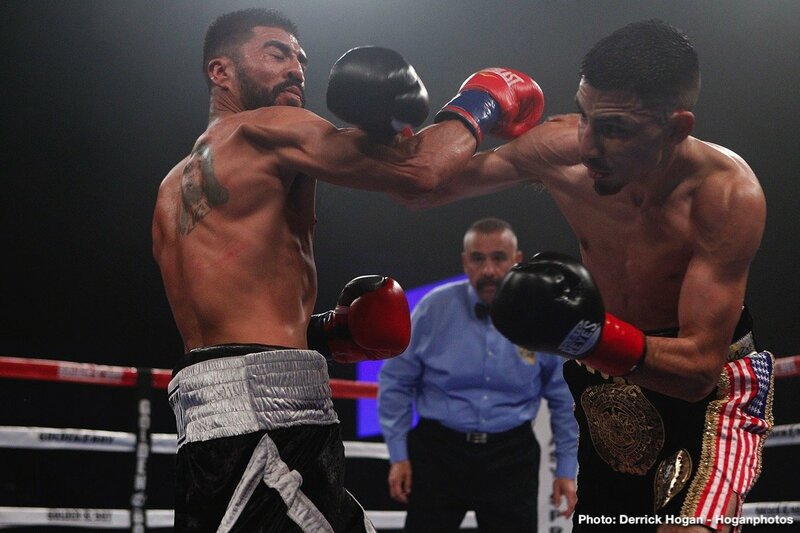 Rene “El Gemelo” Alvarado (30-8, 20 KOs) of Managua, Nicaragua was victorious against Carlos “The Solution” Morales (17-4-3, 6 KOs) of Los Angeles in a 12-round WBA Super Featherweight World Title Eliminator. 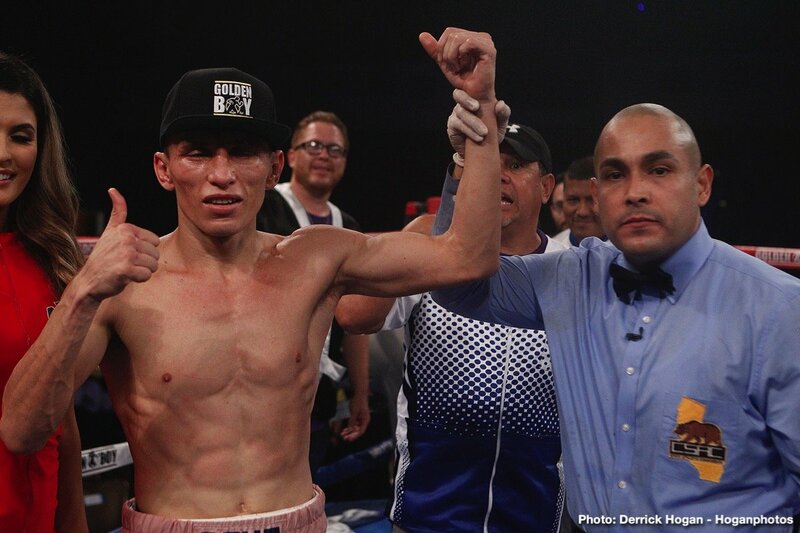 Alvarado won via unanimous decision with scores of 117-111, 116-112, and 115-113in what was the main event of the Dec. 8 edition of Golden Boy Fight Night at Fantasy Springs Resort Casino in Indio, Calif. The action was be streamed live globally on Facebook Watch via the Golden Boy Fight Night Page. 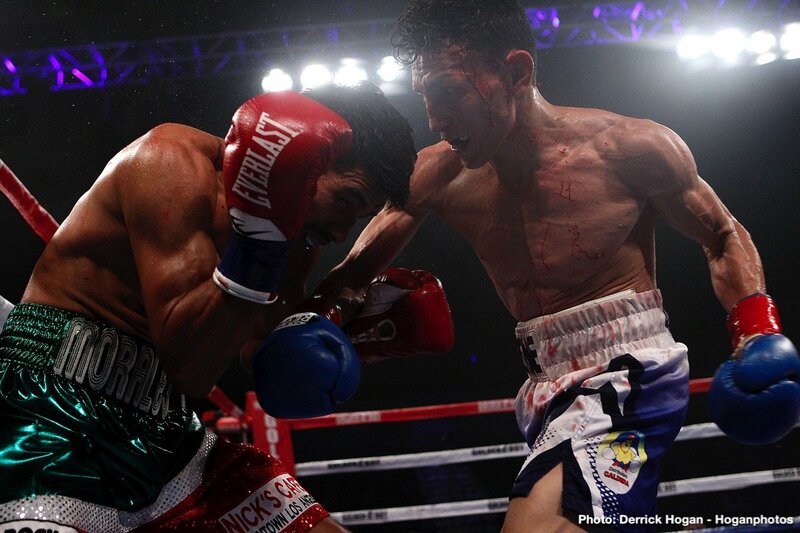 Jonathan Navarro (16-0, 8 KOs) of La Angostura, Mexico defeated Manuel Mendez (16-4-3, 11 KOs) of Indio, Calif. via majority decision in a ten-round super lightweight fight. Jonathan Navarro won the hard-fought battle with two scores of 97-93 and one score of 95-95. 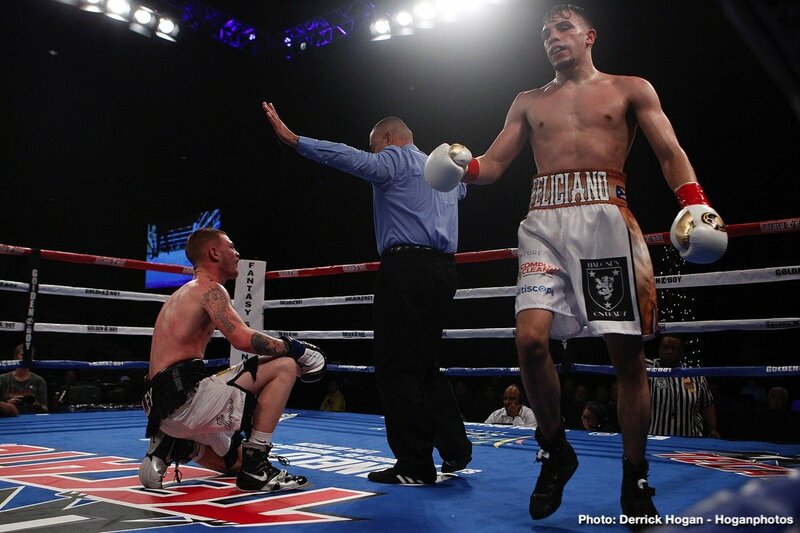 Hector Tanajara (16-0, 5KOs) of San Antonio, Texas scored a ten-round unanimous decision win against Robert Manzanarez (36-3, 29 KOs) of Phoenix, Arizona in a lightweight battle. 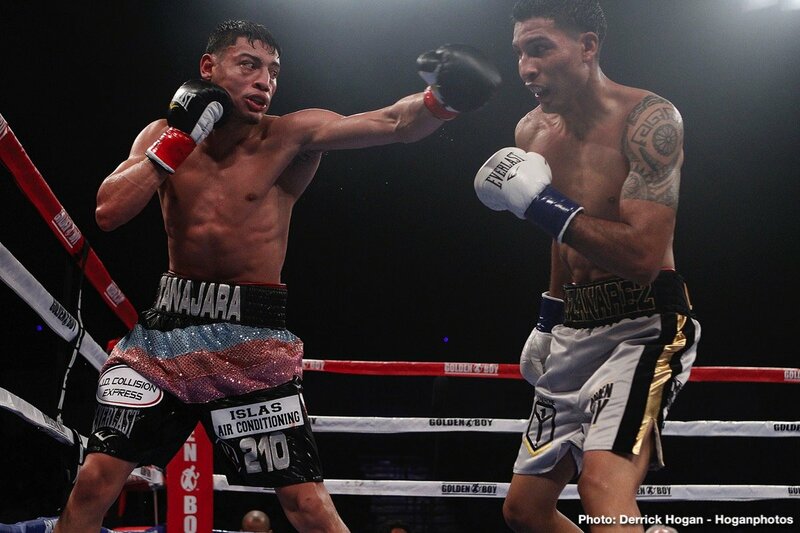 Tanajara won with scores of 97-90, 95-92, 95-92. 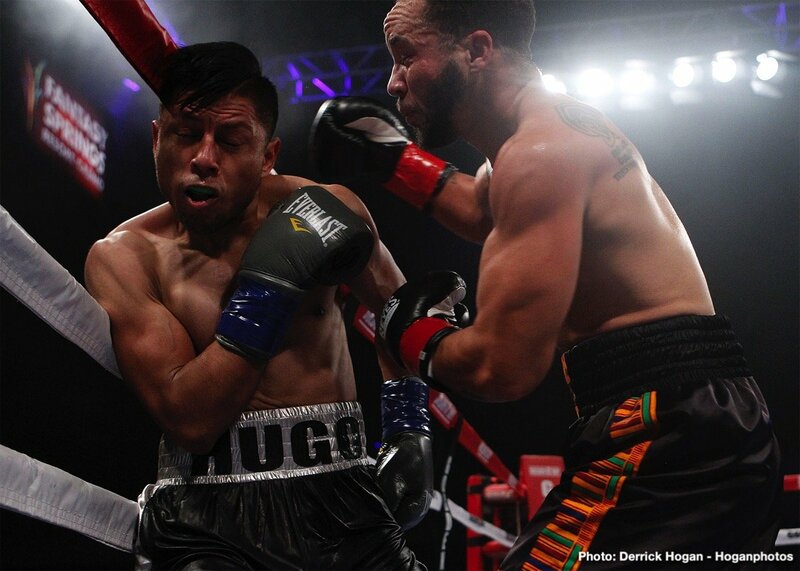 Patricio Manuel (1-0) of Los Angeles defeated Hugo Aguilar (0-6) of Iztacalco, Mexico via unanimous decision in a four-round super featherweight fight. Patricio Manuel won with three scores of 39-37. 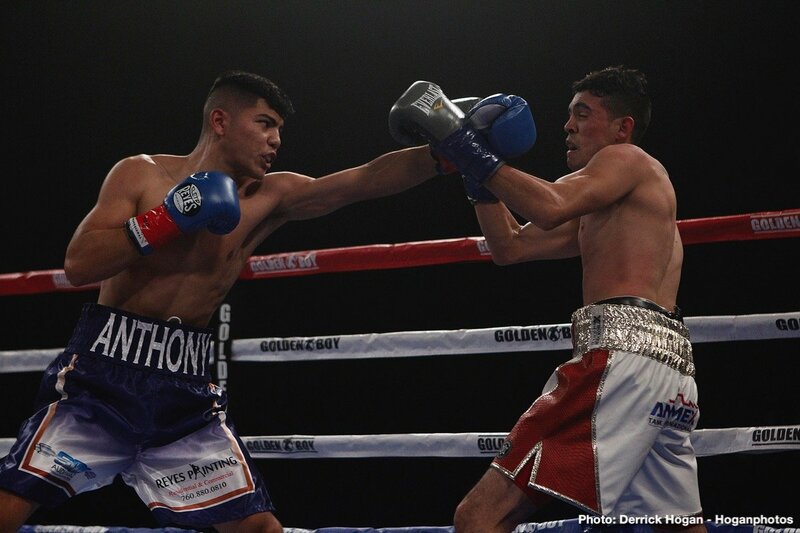 Anthony Reyes (4-0, 3 KOs) of Coachella, Calif. beatDilan Miranda (3-1, 3KOs) of San Diego, Calif. via knockout at 2:16 of the second round in a super bantamweight battle originally scheduled for four rounds. 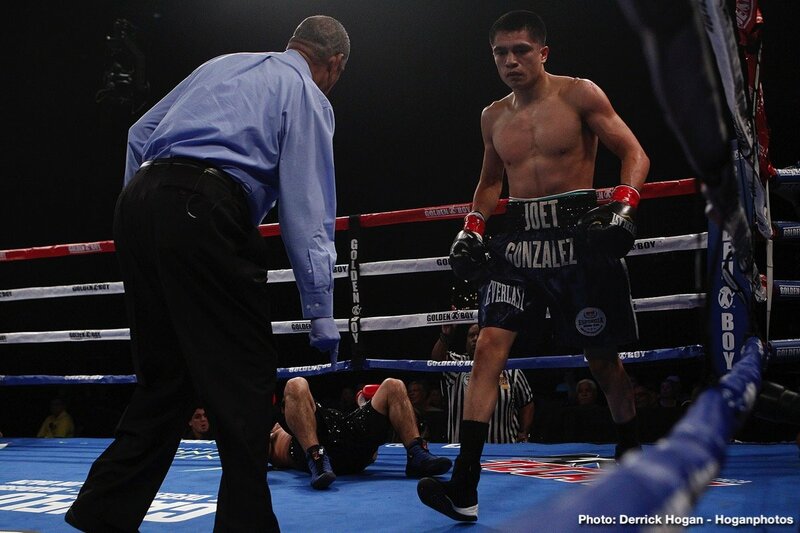 Joet Gonzalez (21-0, 12 KOs) of Glendora, Calif. stopped Javier Gallo (25-17-1, 13 KOs) of Tijuana, Mexico via knockout in the second round of a featherweight fight originally slated for eight rounds. Joet Gonzalez won with a time of 1:17 of the aforementioned round. Luis Feliciano (9-0, 6 KOs) of Utuado, Purto Rico won against Dakota Polley (5-2, 2 KOs) of St. Joseph, Missouri via knockout in the seventh round of a super lightweight bout originally scheduled for eight rounds. Feliciano won with a time of 2:08 of the aforementioned round. Javier Padilla (7-0-1, 5 KOs) of Indio, Calif. defeated Ernesto Guerrero (27-25, 18 KOs) of Agua Prieta, Mexico via unanimous decision in a super bantamweight fight. Padilla won with three scores of 40-36. 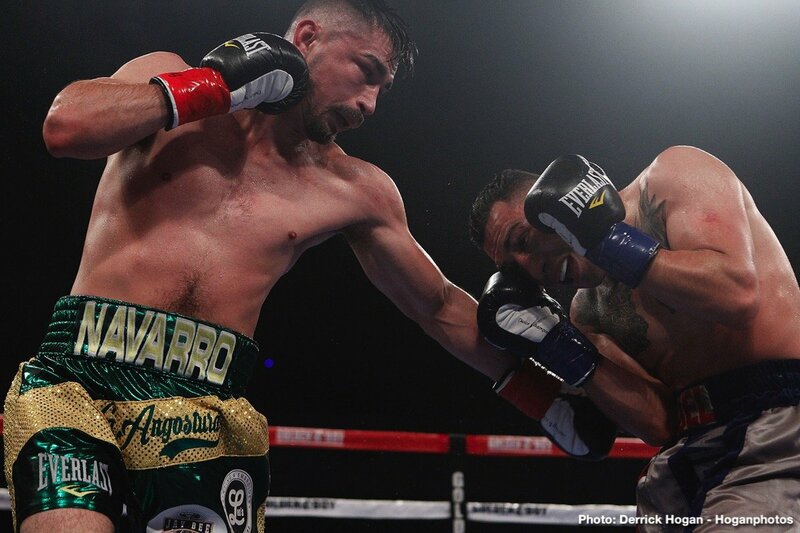 Alvarado vs. Morales was a 12-round WBA Super Featherweight World Title Eliminator presented by Golden Boy Promotions. 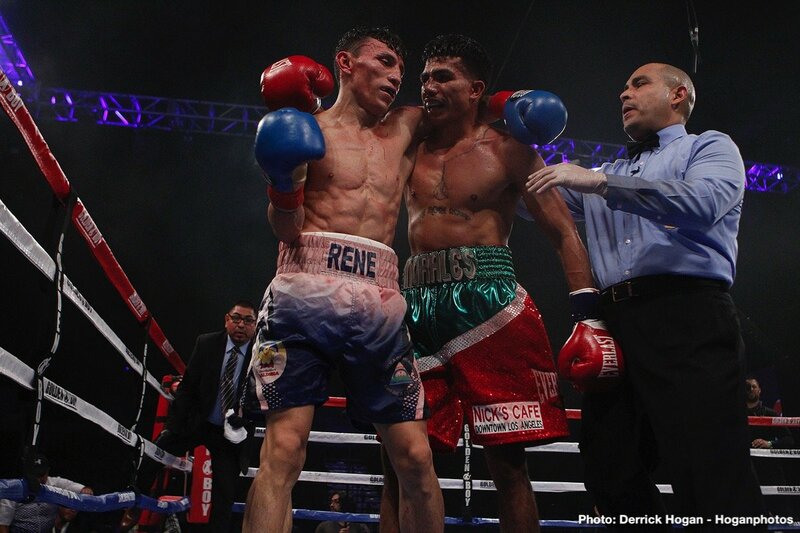 The event was sponsored by Tecate,”THE OFFICIAL BEER OF BOXING,” and Hennessy, “Never Stop, Never Settle.” The fights took place Saturday, Dec. 8, 2018 at Fantasy Springs Resort Casino in Indio, Calif.